Sleep Fundamentals: What is CPAP (Continuous Positive Airway Pressure)? This post first appeared December 28, 2014 and was updated on July 10, 2017. Stands for Continuous Positive Airway Pressure. CPAP is a device for treating obstructive sleep apnea and other sleep-related breathing disorders. 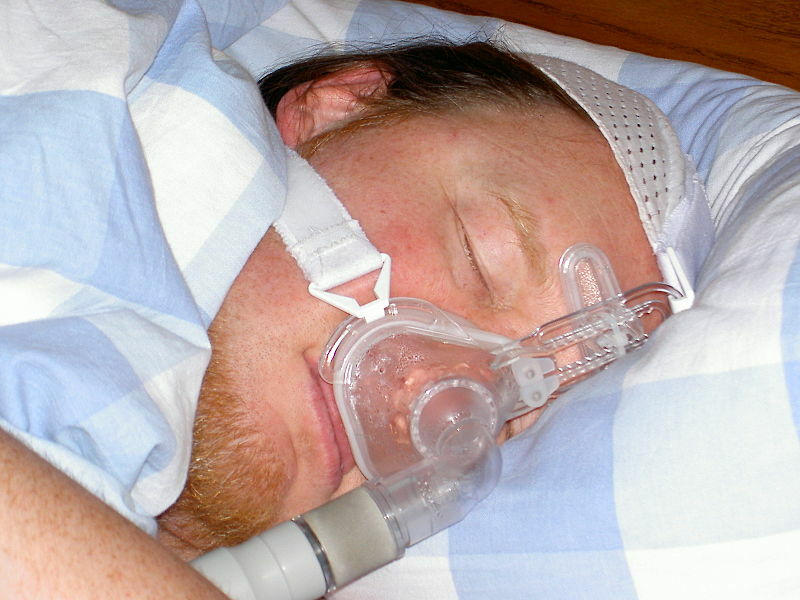 This common therapy for sleep apnea involves wearing a mask hooked to a machine which delivers continuous air pressure. This “splints open” the upper airway to prevent obstruction of the airway. CPAP machines don’t actually deliver oxygen to the patient airway via the mask, they just provide the right amount of pressure through the mask to keep the patient’s airway “patent” or open. CPAP therapy is considered the gold standard for treating obstructive sleep apnea (OSA) because it helps keep the patient fully oxygenated while asleep, preventing a wide array of other problems such as hypoventilation, oxidative stress on the heart and hypertension. In fact, CPAP is considered a life-saving, life-altering device. Many patients have added years to their lives after using this therapy. Most patients, once adapted and compliant to CPAP therapy, report increased energy during the day and more restful sleep at night. There are multiple types of PAP therapies, including Bi-PAP and Auto-PAP, which regulate pressures through algorithms and preset programs to make the experience of breathing simpler and more comfortable for those with additional or multiple respiratory issues. Today’s CPAP therapy uses various kinds of masks to deliver the pressure. These include oral nasal masks with or without chin straps, nasal pillows and full face masks. The masks today are made of ultralight hospital grade silicone, which is more light and flexible than previous masks. The technology has also rapidly improved in recent years so that machines are far more quiet and deliver more comfortable pressure using built-in humidifiers. Is CPAP therapy covered by insurance?